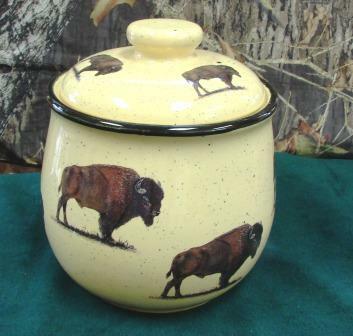 Lodge Cookie Jar- Features a unique color - a soft yellow hue with black speckles and a hand painted black rim. Cookie Jar comes with an air tight seals for freshness. 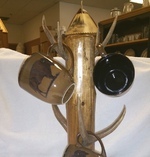 Original artwork by Dann Jacobus, decorated with the Buffalo design.